We’re Grosvenor’s Official Travel Partner so let us help you find affordable accommodation! We understand student budgets! The event, which is being held this year at the Ricoh Arena in Coventry, is the biggest student poker festival nationwide and has been growing year-on-year since its creation. 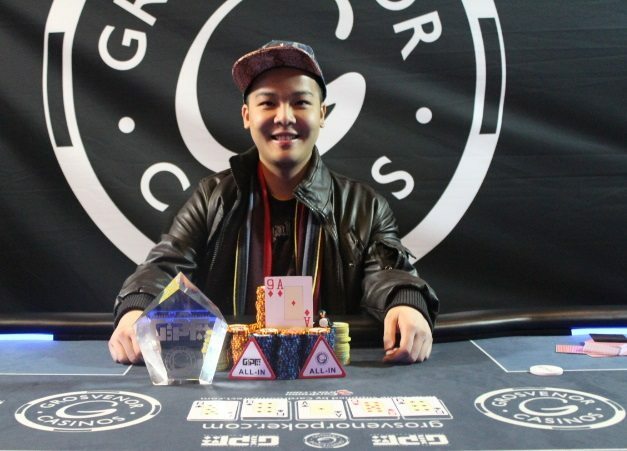 Last year Joseph Kwok staged a remarkable comeback on the final table – and beat a 965-strong field overall - to take down the Main Event for £5,000. He cut a three-way deal with Leicester student Isaac Carlisle, who was runner-up, and third-placed Jack Armorgie. Philip Bain took down the £250 High Roller for £3,230. Players get 15,000 starting stack for the £30 + £6 buy-in Main Event and two re-entries are allowed per flight. There’s a ton of fun to be had at Grosvenor Casinos right across the UK with this year’s £110 buy-in Easter Beast running April 10-17. The event, which forms part of the Grosvenor UK Poker Tour (and has the same structure), features a single £20k guarantee tournament for each of eight regions across the UK. Day 1s take place on various days in each region and players who make it to Day 2 then head to a single destination for the final in their region. One re-entry is allowed per day and players get a generous a 20,000 starting stack. The Day 2s are taking place in the following venues: Didsbury (Northwest), Leeds (Yorkshire), Luton (Southeast), Portsmouth (South coast), Newcastle (northeast), Dundee (Scotland), Coventry (Midlands) and Swansea (Wales).